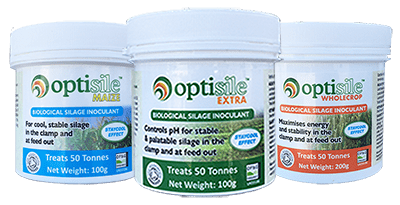 A three-strain combination of Lactobacilli developed by Envirosystems is employed in OptiSile Extra. One is the widely used L Plantarum, to support a standard lactic acid fermentation. The combination of the other two produce acetic acid, a proven inhibitor of moulds, yeasts and Clostridia. 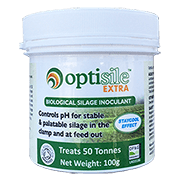 Lactic and acetic acid in combination create fast, stable preservation, and maximise palatability and nutrient availability. 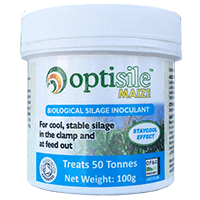 During development, the formulation performed very well in scientific trials and it has proven effective on many farms, over a wide range of dry matters, including both very high and low. 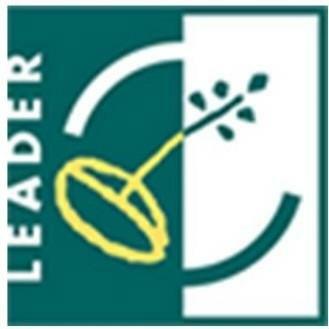 Yeasts, moulds and other spoilage organisms (Clostridia and Listeria) cause silage to heat up at the open clamp face and feed trough, commonly called secondary fermentation. This is inhibited by the STAYCOOL effect which generates acetic acid in the clamp as well as lactic acid. REF 1 H Danner et al, 2003. 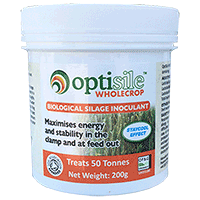 Acetic Acid Increases Stability of Silage under Aerobic Conditions. Appl Environ Microbiol. 2003 Jan; 69(1): 562-567. 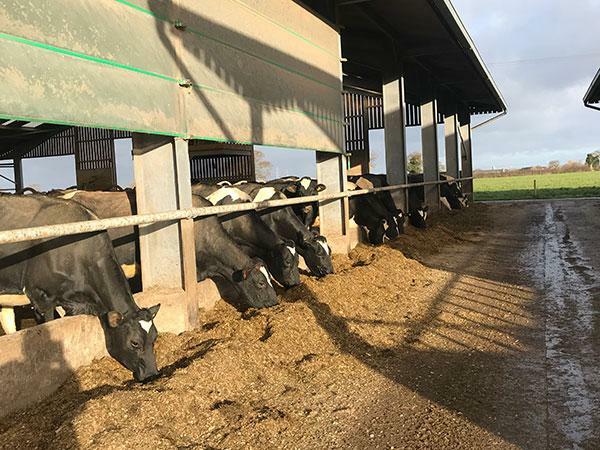 Outstanding silage was made by the Sanderson brothers John and Robert near Kirkham in Lancashire. Treated with OptiSile Extra, first cut protein was 17.8% and ME, 12.3 MJ/kg DM. Despite above fresh at the clamp face and in the trough.